Farm products such as apples, wine, speck and eggs, in-house wine cellar, natural furnishings, garden with pond and petting zoo. 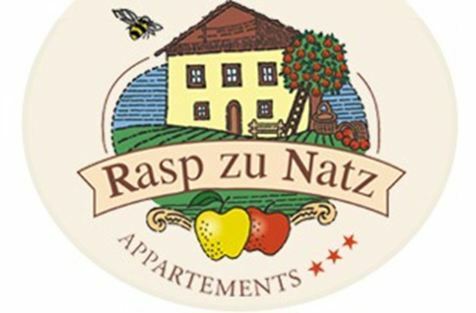 Welcome to Residence Rasp zu Natz *** in Natz! Are you looking for a very special accommodation? Then you will surely like this residence on the sunny plateau of Natz-Schabs above Brixen. 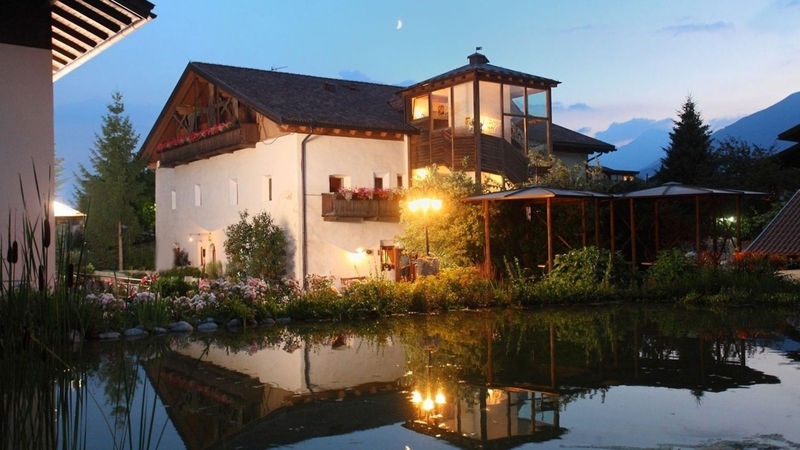 The estate Rasp zu Natz combines a historical ambience and modern holiday pleasure. Since 1661 it has been owned by the same family and it disposes of a farm. The marvelous natural landscape of Eisacktal completes the offer. The apartments of the Residence Rasp zu Natz are characterized by a unique style created by old walls and comfortable furnishings arranged with greatest care. Moreover there is a wonderful parlor with vault and tiled stove, a sauna and a well-tended garden with pond, petting zoo, heated outdoor swimming pool and barbecue facilities. Not forgetting the well-stocked wine cellar and the shop belonging to the house, where you can pick up homemade apple juice, bacon, wine and other delicacies. The village center of Natz is only a few yards away from the Residence Rasp zu Natz. All around – in the holiday region Eisacktal – sport fans and culture lovers will always find an attractive range of leisure activities. Also the Residence Rasp zu Natz offers a varied activity program, including for instance a visit to the water park Acquarena in Brixen. The Baumgartner Family looks forward to seeing you soon! The Seybot appartement is 45 square metres and includes a living/sleeping room with sofa and kitchenette. The appartements are partially also accessible by handicapped people. The Rasp appartements are about 65 sqm large and include a kitchenette as well as two separate bedrooms, kitchenette and sofa. The Rasp appartements are about 65 sqm large and include a kitchenette as well as two separate bedrooms, kitchenette, sofa and balcony. The Urbar appartements are about 60 sq m large and are made up of a living and sleeping area, kitchenette, sofa and balcony. Internal stairway to the kid's room. The Chrissian appartements are about 35 sqm large and are made up of a bedroom and a living room. The Jonathan appartements are about 50 sqm large, are made up of a bedroom and living room, sofa, kitchenette and balcony. The appartements have no elevator.